This week I had the pleasure to speak on a panel to career-minded students at the Staten Island Economic Development Corporation's annual conference. Our panel consisted of four experts familiar with social media who shared advice about what to do when it comes to how to best use Facebook, Twitter and other digital platforms. The main message as reported in the Staten Island Advance: Think before you post, tweet ... and curse. Below are the 10 statements the Staten Island Advance selected as the best. Take a look. There are some new considerations. For example: What does it say about a person who constantly posts selfies? Does having less friends mean that you are more discerning about who you associate with and having more mean you are trying to win some silly popularity contest? See what the panelists said. What do you agree with? What ideas are new to you? Is there anything you disagree with? Develop your online reputation: "Think about one sentence that defines you," said Ms. Nielsen. "That sentence should be carried online through all of your social media profiles." Create interactive content to enhance business: "Putting posts out there that are interactive gets people going." said Schifter, focusing on building small business buzz. "The more interaction you get, the more viral it becomes." Monitor social media privacy: "Even with privacy settings, it's not 100 percent secure. Especially on Facebook -- they change things every day, whether it's their algorithm, or privacy setting, do not trust them to keep you safe," said Ms. Lev-Ari. Don't become a news headline: "There's a fine line between freedom of speech and offending people needlessly. There's people who tow the line very well, and there's people who leap over it," said Ms. Bellesi. Lay off the F-bombs: Take the profanity out of social media, said Ms. Lev-Ari. "Train your brain that profanity is not part of it. Just dismiss it." Somebody is always looking: Employers, colleges, and even potential dates can easily find postings on social media, warned the panelists. Do it for the right reasons: This era is fueled by technology, so "Use your social media powers for good," said Ms. Bellesi. Handle negativity with grace: "Just do what you can and don't let it destroy you," says Ms. Lev-Ari. "If you're in the spotlight, whether it's the good or the bad one, it means people are looking at you." The more friends, the better? : Not so much, but it depends, the panelists argued. Schifter said when it comes to small business and company-friendly posts, more followers are good for work. However, when it comes to strangers monitoring personal accounts, try to narrow it down, said Ms. Lev-Ari. "Selfies have to stop," said Ms. Bellesi. 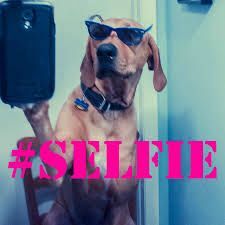 "The word selfie has been added to the dictionary. That made me cry. We live in a very much a 'look at me' society." Barbara Bellesi, assistant director, Center for Academic & Career Engagement at Wagner College, Grymes Hill.